As pervasive violence shatters our nation, the call for values echoes through headlines and school hallways as educators, parents and children become increasingly concerned and affected. 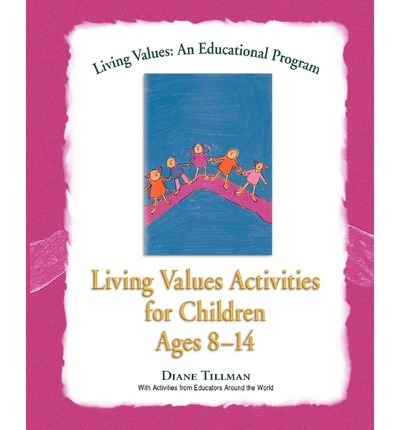 The "Living Values" series offers a variety of experiential activities for teachers and parents to help them teach children and young adults to develop twelve critical social values: cooperation, freedom, happiness, honesty, humility, love, peace, respect, responsibility, simplicity, tolerance and unity. In each book, these twelve values are explored using age-appropriate lessons that incorporate group discussions, reading, quiet reflection time, songs, artwork and action-oriented activities. These lessons are already in use in more than 1,000 locations in sixty-two countries. Pilot results indicate that students are enthusiastic and teachers report a decrease in aggressive behavior and more motivated students. The Living Values Educational Program was born when twenty educators from around the world gathered at UNICEF Headquarters in New York in 1996 to discuss the needs of children and how to better prepare students for lifelong success. These global educators identified the curriculum and the program was ready for piloting in February of 1997.